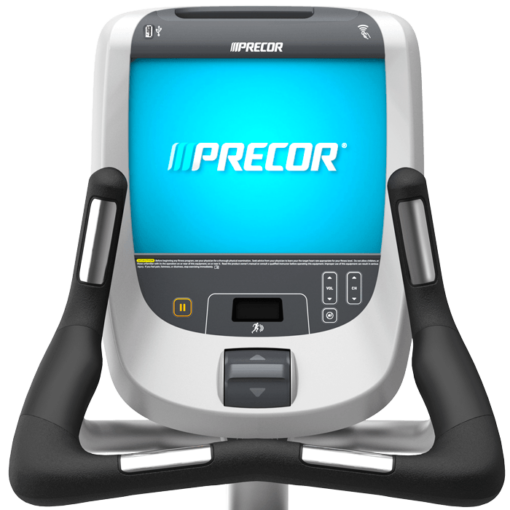 Home / Shop / Brands / Precor / Precor UBK 885 W/P80 Console Remanuactured Commercial Upright Bike.Call Now For Lowest Prices Guaranteed! 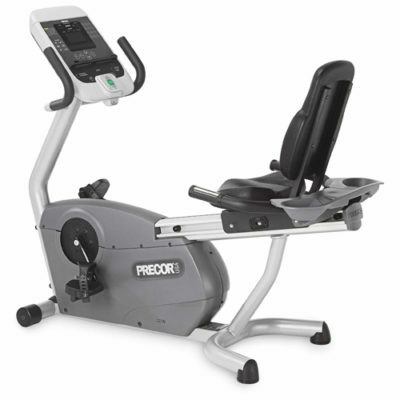 Precor UBK 885 W/P80 Console Remanuactured Commercial Upright Bike.Call Now For Lowest Prices Guaranteed! 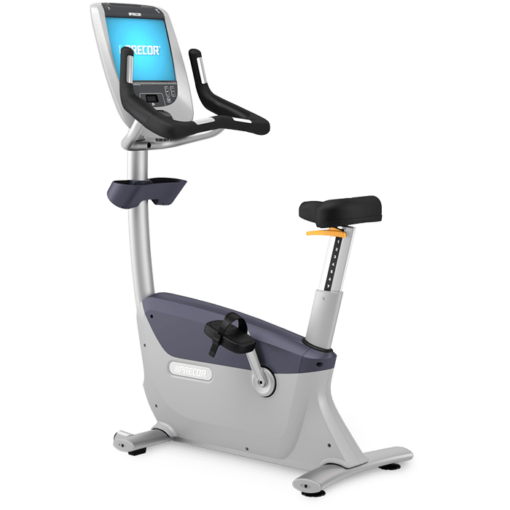 The self-powered UBK 835 upright bike features custom-designed handlebars with integrated touch heart rate for maximum comfort and efficient workout experience. One-handed seat adjustment on or off the bike, redesigned saddle for riding comfort and improved knee over pedal spindle (KOPS) geometry for efficient pedalling mean a smooth, comfortable workout. Handlebars: A new over-molded handlebar design offers the user three comfortable riding positions-upright, cruising, and road. In the road position, the ergonomic-shaped handlebars position the wrists in a natural, neutral position. The wide width of the handlebars provide stability and comfort along the entire forearm. The overall width of the handlebars is similar to indoor cycling bikes, which is narrower than most stationary bikes. This places the user in better ergonomic position with the forearms more directly under the shoulders. In the cruising position, the wide handlebar is more comfortable on the user’s hands. Touch heart rate is integrated in the upright and road-race positions. Seat: Ergonomic saddle design with comfort groove. 10.5 inches (27 cm) width quickly tapers to a narrow nose for improved riding comfort. Biomechanics: To achieve proper pedaling biomechanics, the seat post and seat post offset from the crank is key to aide in efficient pedaling and reduced shear force on the knee. The seat post angle is 74 degrees with a 5 inch (13 cm) offset from the crank axle. This places the forward knee directly over the ball of the foot (or pedal spindle) when the pedals are in a horizontal position. 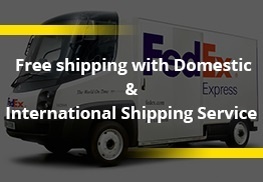 Bearings: The bottom bracket assembly uses a hardened steel shaft with deep-groove sealed precision ball bearings designed for smooth operation and exceptional service life. Pedals: For double the convenience, dual-sided pedals allow the rider to use the pedals with or without the integrated pedal strap. The extra wide pedal comfortably accommodates feet of all sizes, which allows proper pedaling form with the foot directly over the user’s knee. Frame: Two-step powder-coating process applies rust-resistant undercoat and cosmetic topcoat to steel frame. Covers: Covers are attached with minimal hardware and can be removed without taking off the pedals or cranks. 3-Piece Crank: 3-piece crank tightens positively, reducing the need for periodic adjustments. The 170 mm crank arm accepts any standard road or mountain bike pedal. Drive System: The two-stage drive system yields a smooth, comfortable, quiet operation with a lower start-up resistance and more consistent resistance progression than single-stage drive systems. 3-Phase Generator: 3-phase generator / eddy current resistance system requires no backup battery in order to efficiently power the bike. Belt Drive: Belt drive for smoother, quieter operation and reduced maintenance. Touch: Yes. Touch heart rate sensors conveniently located on the handlebars in both the upright and road positions. Telemetry: Yes. Integrated telemetry heart rate reads heart rate from a user’s heart rate chest strap. 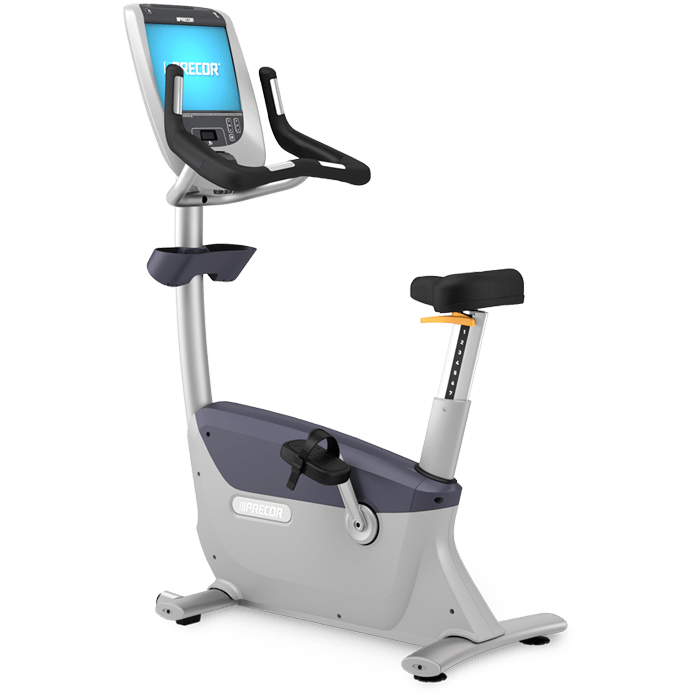 Schwinn Evolution Indoor Cycling Bike. 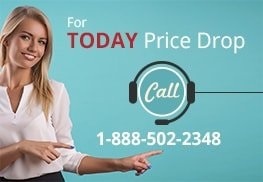 Call Now For Todays Lowest Sale Price. 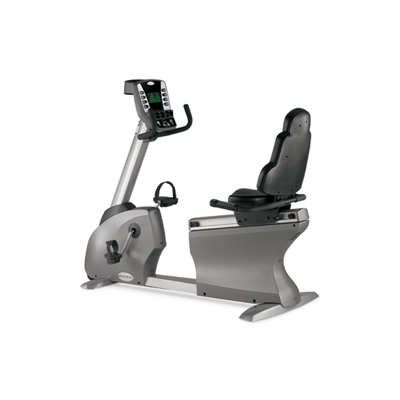 Matrix Fitness Mx-R5x Commercial Recumbent Bike. 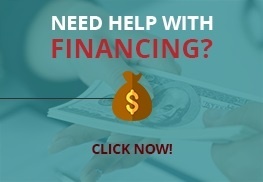 .Call Now For Lowest Pricing Guaranteed! 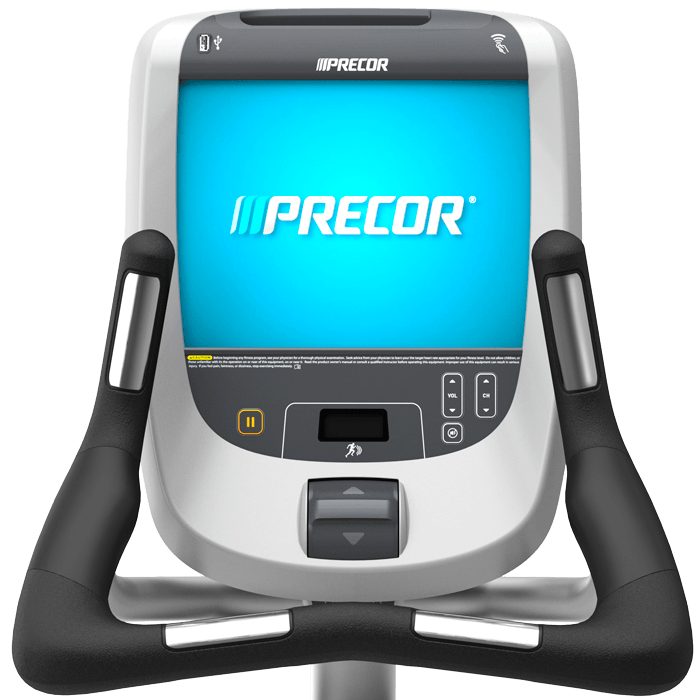 Precor 846IE Experience Commercial Recumbent Bike. Call Now For Lowest Pricing Guaranteed!